Certified Organic Essential Oils are highly aromatic, pure botanical oils that are steam or hydro distilled from the leaves, needles, stems, flowers, bark or roots of organic aromatic plants. Organic Citrus Essential Oils are typically cold pressed from the rinds (peels) of organic citrus fruits, but they are also available as steam distilled oils. Certified Organic Essential Oils offer many beneficial properties when incorporated within a wide range of aromatherapy, beauty and personal care applications. Praan Naturals is pleased to feature a growing selection of therapeutic quality, certified organic Essential Oils that are well suited for your finest product innovations. 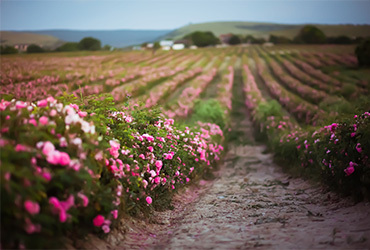 We carefully source our Certified Organic Essential Oils to ensure oil freshness and purity, and we are also mindful of the sustainability of the botanicals used in their production.